The Underground Transport system was developed in 1863 and London was the first city in the world to develop an underground railway network. It is an alternative to the overland transport system of trains and buses and today, everyone uses the ‘Tube’ to get around as it is one of the cheapest and fastest ways to get around. It is the basis of all travel and it is filled with daily commuters and tourists all making their way around the busy city. The Tube is managed by Transport for London (TfL) which ensures that all routes are efficient, safe and that the Tube experience is satisfactory. The ‘Tube’ joins over 270 stations around the city and you will be able to hop on and off at destinations that are a short walk away from the station. The underground is not open 24/7 because they have routine maintenance and cleaning services that work during the night. The earliest tubes run from about 4.45 am and the most popular routes are open until past midnight. Relocating here can be a daunting task and the sooner you get to grips with the way that the Tube works the better equipped you’ll be to really enjoy some of the fantastic sights that London has to offer. This phrase is associated with the tube, has been used in many songs and films, and has become part of the lexicon of modern language. 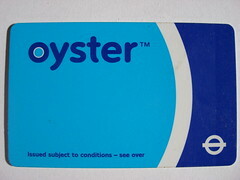 The best way to get on board one of the tubes is to purchase a Travel Card and an Oyster card. This form of ticketing is a pre-paid electronic card that can be pre loaded with any amount of money for your travel. The best thing about an Oyster Card is that it is interchangeable with other forms of London transport including buses, trains across England, as well as the tram system. Having a Travel Card means that you really do have the freedom of the city. You can make as many tube journeys as you want to per 24-hour period and it is far cheaper than purchasing a ticket at the station. A travel Card can be loaded onto your Oyster Card for maximum convenience and value for money. The Zone that you are travelling in governs the cost of getting around by tube. London is divided into six zones in concentric circles around the city. Zone 1 and 2 are, in the very heart of the city and Zone 6 is on the outer edges of the city. The ‘TfL’ has a number of maps that are available free of charge to travellers so that you can make your way through the different Zones and travel destinations. The maps show the direction of the tube and the stations that it stops at. Most maps show the proximity of the tube to the various tourist attractions.